Anyhow, I ALSO didn’t think it worthy of it’s OWN Daily Cartoon Spot, so I’ve spent like 10 minutes on this one, in addition to the REAL Daily Cartoon. Inspiration: The no brakes scenario. 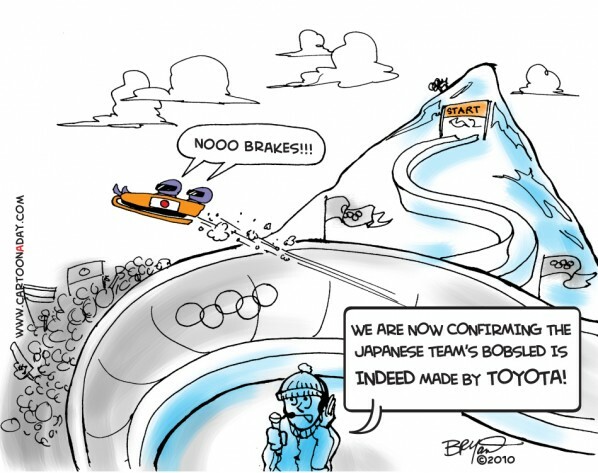 Toyota's Press Engine, Winter Olympics and more.